The particular sore spot of levels 60-80 get the biggest reduction in experience needed by 40%. Many other level ranges get hefty reductions of 25-30%. 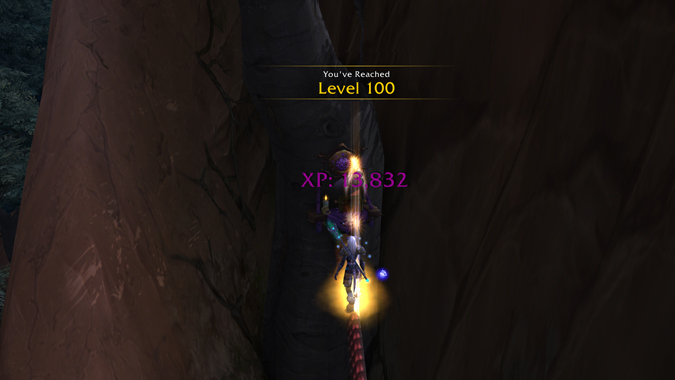 Levels 110-120 don’t get much adjustment, but new items are being added to help speed up the leveling process including the Draught of Ten Lands, the Taste of Victory, and new heirlooms. This is amazing news for those of us struggling to level new Allied Races alts. Leveling through questing takes quite a bit of time and using the dungeon finder to speed things up makes for a miserable experience due to the nature of PUGs. I’ve given up on leveling quite a few Allied Race alts because of it and just paid to race change existing max level alts. But now I think I will go back and at least level up my Lightforged Draenei Paladin. I don’t have a max level paladin and have been wanting to play one for quite awhile. I don’t suppose PUGs have gotten any better, but at least I’ll have to do less of them until Legion where I’ll happily quest until I can start on Battle for Azeroth content.